Spotted on the Road - A "Flxble" RV!! Hey, what’s that cool rig coming towards us?? Posted October 8, 2014 – We looked up the road yesterday and saw this really fun looking rig driving towards us. 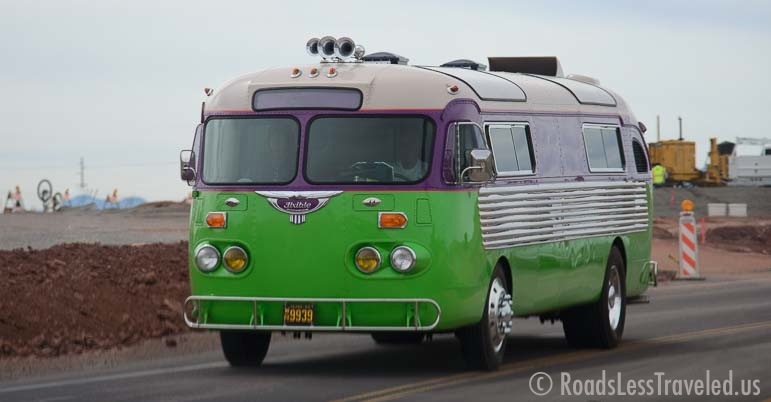 It’s a “Flxible” RV — and that’s not a typo! These groovy antiques were made from the first to the last decade of the 1900’s. 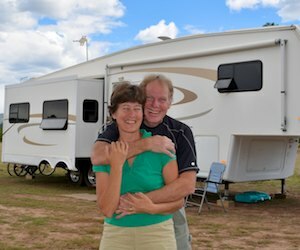 Check out the owners group and history of these special RVs here: Flxible Owners.